Thank you Les, for choosing my caption. Here is the next picture awaiting your captions. That awkward moment when the Year of The Yellow Dog is coming, not of The Yellow Cat! "A Tail of Two Kitties"
Hey you the Gingerbread Cat why is your tale striped with honey fur ??? It �s not honey fur it �s the honey fair �s pair of stockings ! Fido is going to regret taking liberties with Felix. This cat is driving me up the wall. I �m fed up with it ! 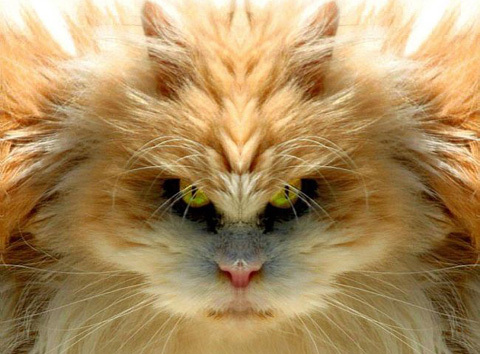 How can we get rid of this cat mania on this site ?????? 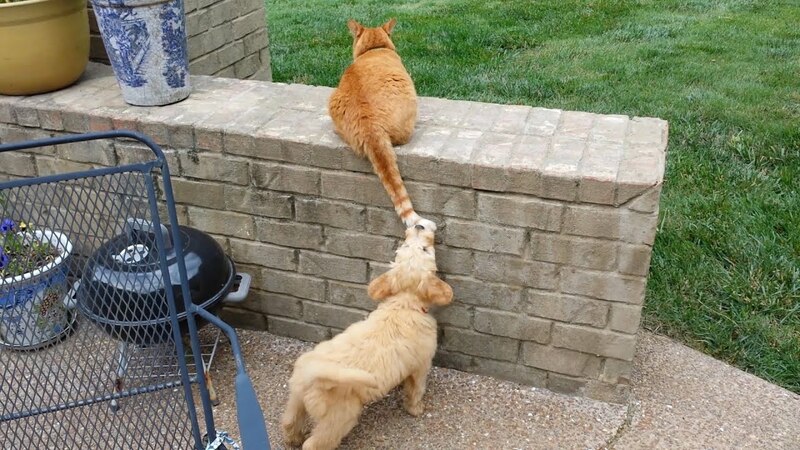 Dog:" Hey, kitty, I want up there, too! Let �s use your tail like a rope so you can pull me up!" Cat thinking to himself: "Do I box his ears now, or do I just hope he gives up and goes away?" I won �t be much when you get through with me. Looks like I �ve got a tiger by the tail." Will have it in for little old me. A dog and a cat? There�ll be trouble in that! Bei�t einen Hintern so rund. Ik ga naar mijn kamer!"